Automotive paint protection film is a virtually invisible layer of urethane that can be applied to your car to protect it from the elements. It was first developed by 3M for use by the military in Vietnam, to protect helicopter blades from flying dust and debris. The film helped prevent malfunctions and reduced the need for maintenance. In the 80’s and 90’s, paint protection film began to see applications outside of the military, seeing use in commercial planes, electronics, computer screens, and in racing. From racecar drivers looking to maximize the performance of their vehicles, it quickly spread to luxury car owners seeking to preserve their factory finish. Paint protection protects the impact surfaces of your vehicle from damage caused by rocks, gravel, salt or insects. The virtually invisible urethane film is typically applied to the “leading edge” of the vehicle, which includes the mirrors, hood, fenders, headlamps, and bumpers. These are the surface that take the brunt of the impact from flying debris when your car is on the road. Headlight and lens protection film are designed to be thicker to preserve the longevity of your car’s lights. So, this product reduces the need for maintenance by protecting more than just the finish. Paint protection doesn’t have to be invisible, and you can choose films that are tinted and colored to alter the aesthetics of your headlights, tail lights, and fog lights. New pre-cut kits are constantly being updated to match new makes and models, and the custom variations available within those kits is diverse. 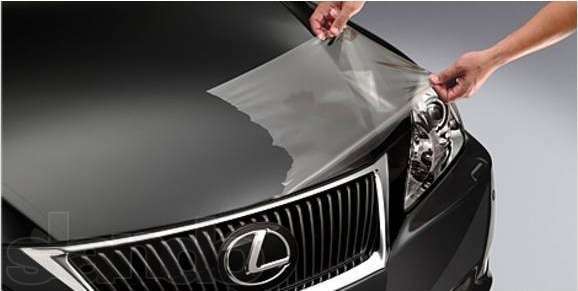 You can use films that will cover door trim, fender, bumper, and even the entire hood. And the application can easily be removed without damaging your vehicle. Paint protection film installation only takes about hours, often less when performed by a professional. The moment your vehicle leaves the showroom, it finds itself under assault from the elements. Paint protection film is growing in popularity among auto enthusiasts who want to protect their vehicles from the everyday onslaught of gravel, bugs, and salt, and preserve the finish of their vehicle. As you would expect from a product that does what this does, paint protection film is OEM-approved by virtually every car manufacturer. Tim Cooke is COO for Absolute Perfection, Inc. If you need paint protection film in the Baltimore, MD and Washington DC area, visit their website at www.APTinting.com.